Congratulations to Reptoid Games on a Successful Kickstarter! We’re thrilled to share that Ubisoft Indie Series presented by National Bank winners Reptoid Games just exceeded their goal for their Kickstarter to finish Fossil Hunters, the action-adventure game where you build your own dinosaurs! We’re so proud of the team at Reptoid Games, and everyone who backed this game to help them to the finish line. 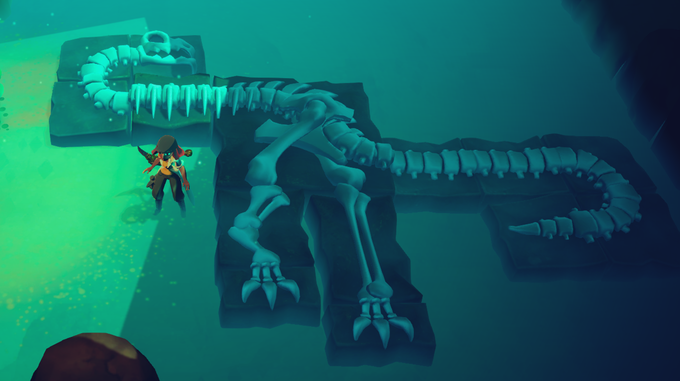 Coming in early 2018, Fossil Hunters lets players build their own dinosaur skeletons using a modular fossil block system, and create creatures of varied size and complexity as they explore secret caves in the centre of the earth, and uncover forgotten fossils and lost treasure. Even more exciting news! After their PC/Mac launch, Fossil Hunters will be available on PlayStation 4, Xbox One and the Nintendo Switch. Reptoid Games is a five-person game studio based in Toronto and the winners of the Ubisoft Indie Series presented by National Bank, an annual competition designed to help independent game development studios and their games reach new heights. You can learn more about the Ubisoft Indie Series here.